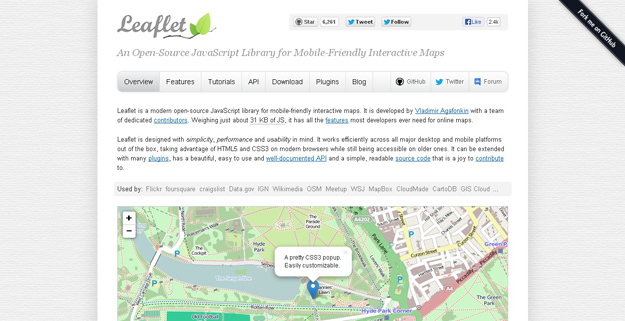 Maps are used so widely in web design and they are usually expected to be interactive when presenting data. It can be the branches of an international company, statistics about countries or just destinations to visualize. When building any map-related applications, there are many popular providers to select from like Google Maps or Bing Maps and they provide APIs for integration. However, using an open source engine and the ability to switch providers anytime offers more freedom + flexibility. 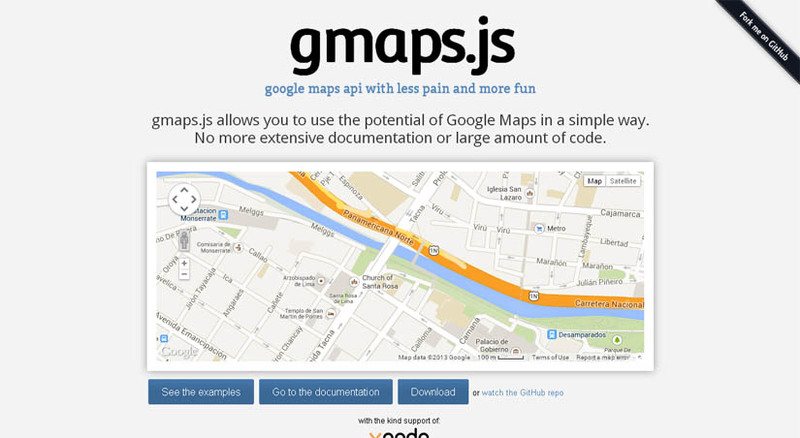 GMaps.js allows you to use the potential of Google Maps in a simple way. 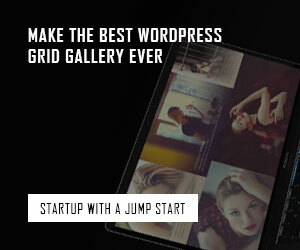 No more extensive documentation or large amount of code. GMaps is compatible with JSON formatted data which you can utilize to integrate your map with a particular app, like Foursquare. 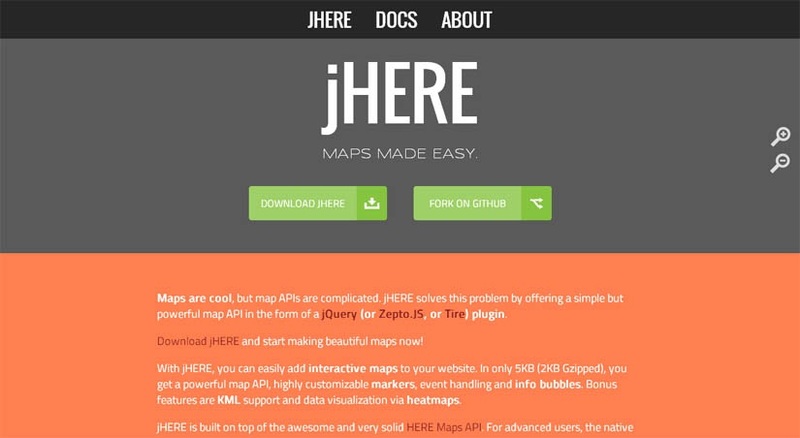 With jHERE, you can easily add interactive maps to your website. 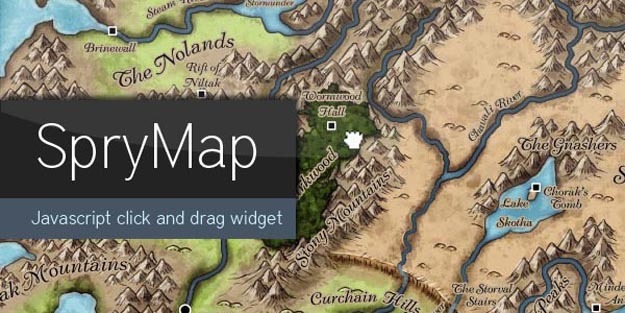 In only 4KB, you get a powerful map API, highly customizable markers, event handling and info bubbles. 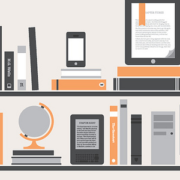 Bonus features are KML support and data visualization via heatmaps. 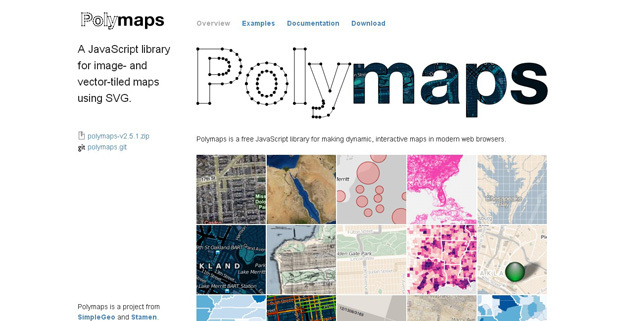 DataMaps is a script to display any data interactively and beautifully inside maps. It comes with ready-to-use maps for world map with countries, USA with states and a combined one. 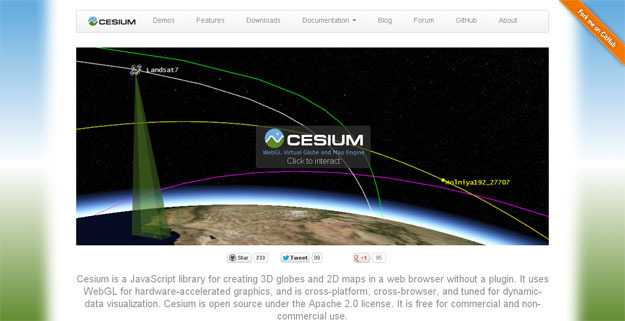 The map data is stored as JSON and any custom maps can be created by following the structure. 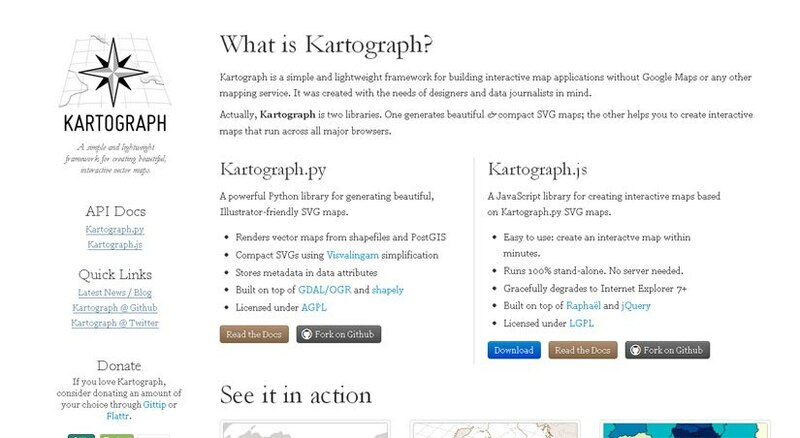 DataMaps makes use of D3, Backbone + Underscore and comes as a jQuery plugin (or a as a standalone Backbone view).